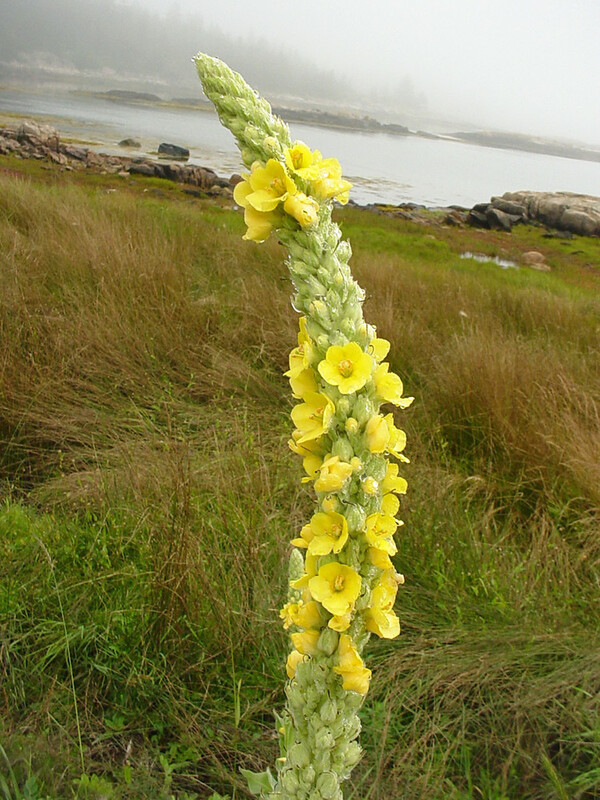 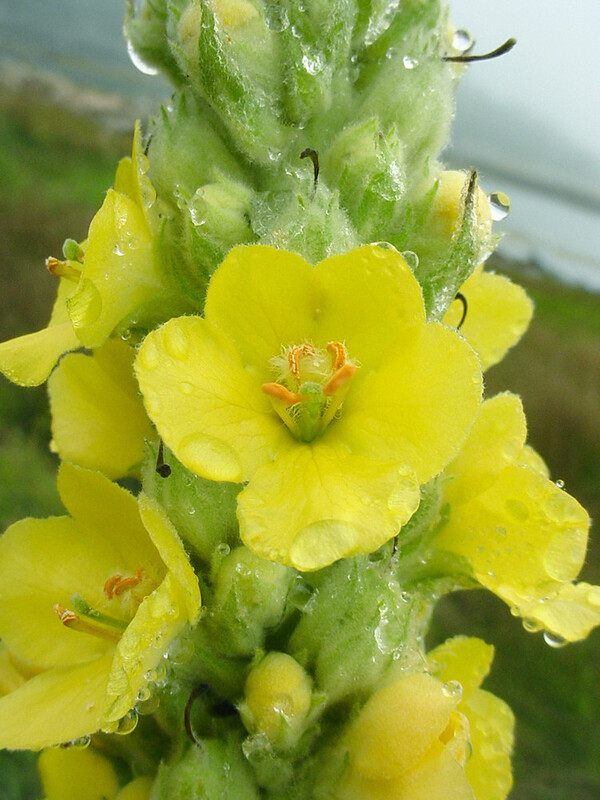 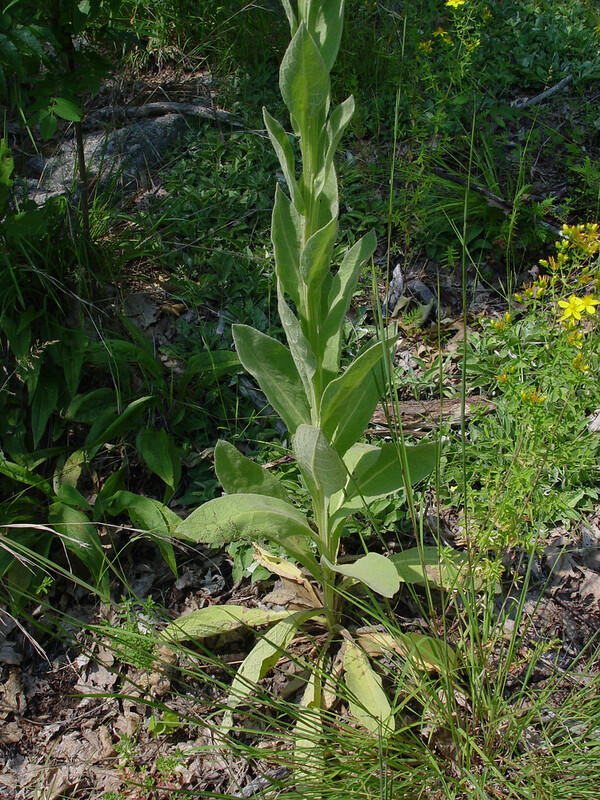 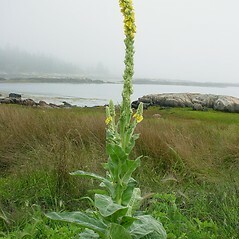 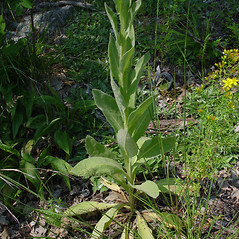 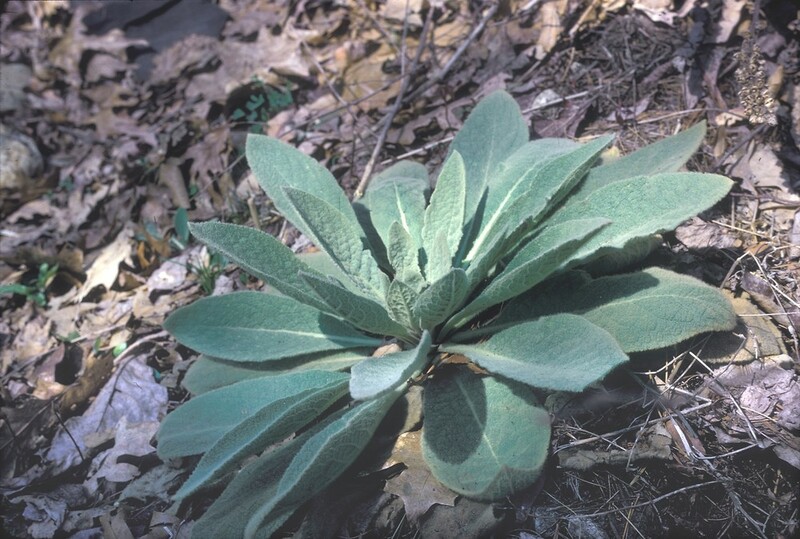 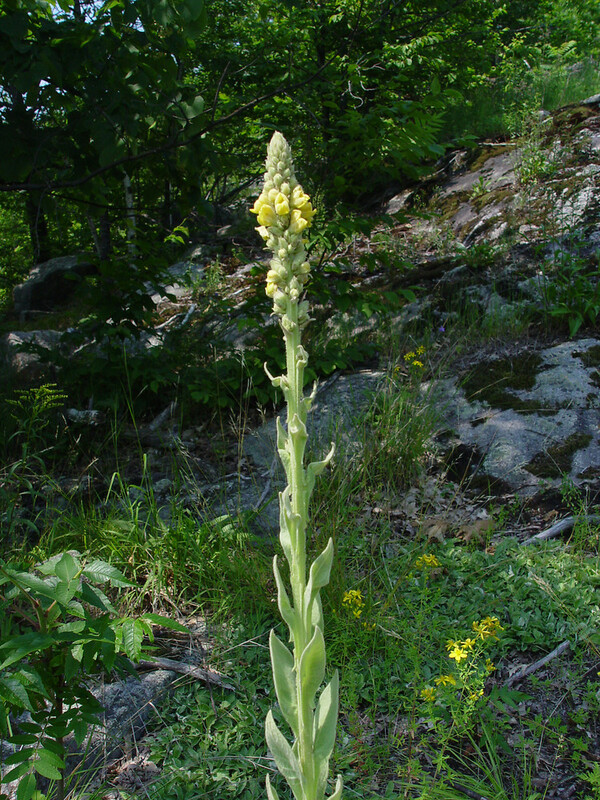 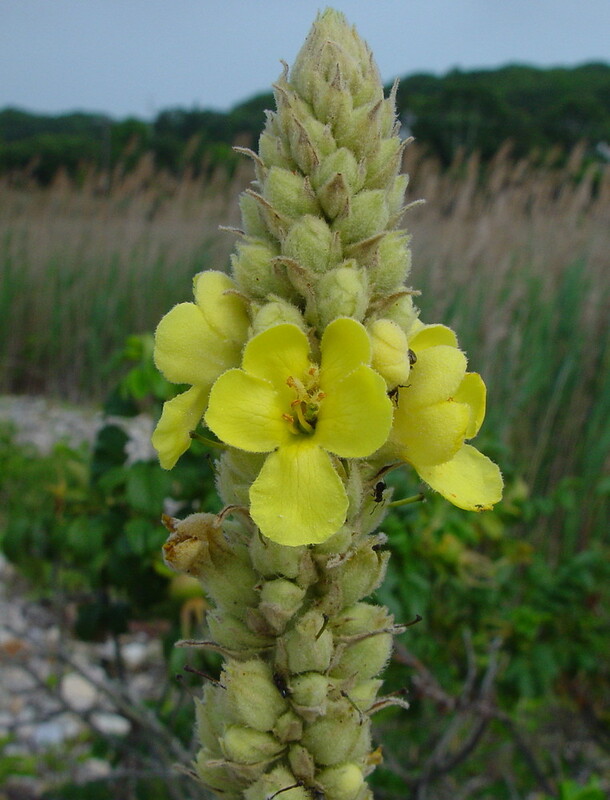 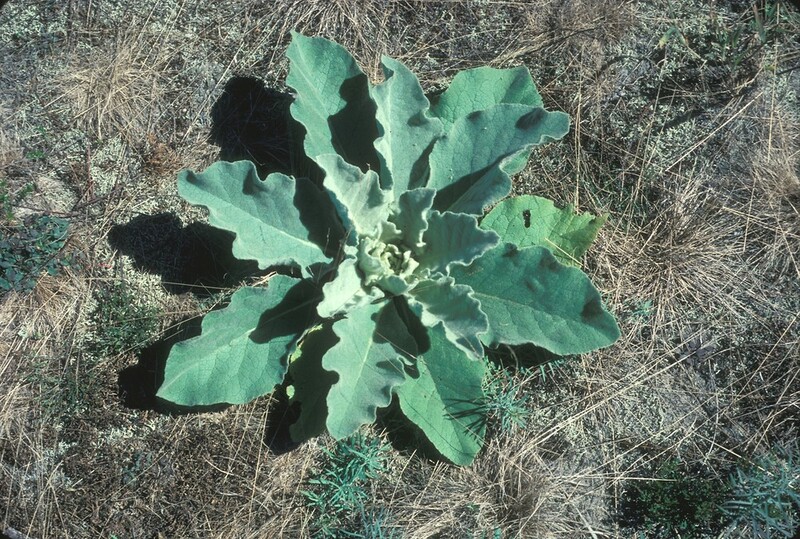 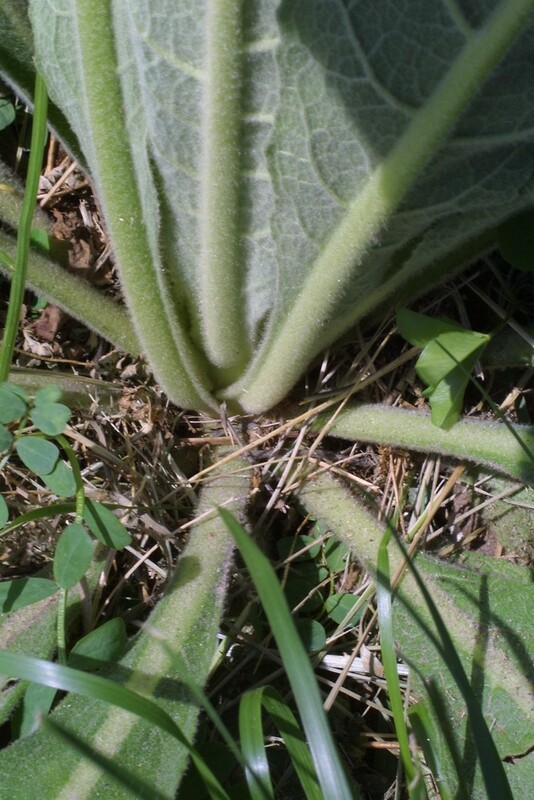 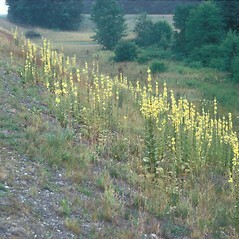 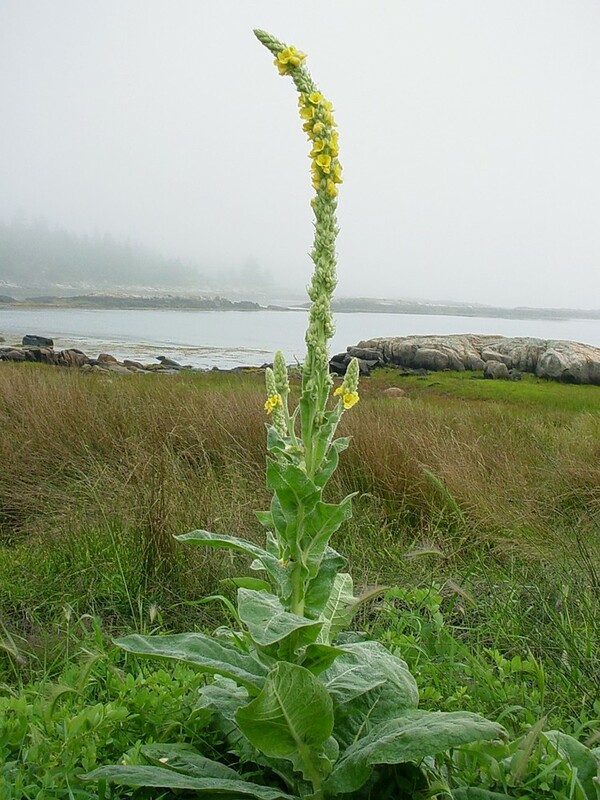 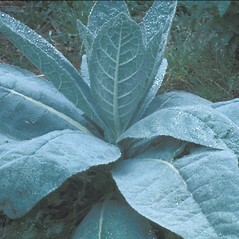 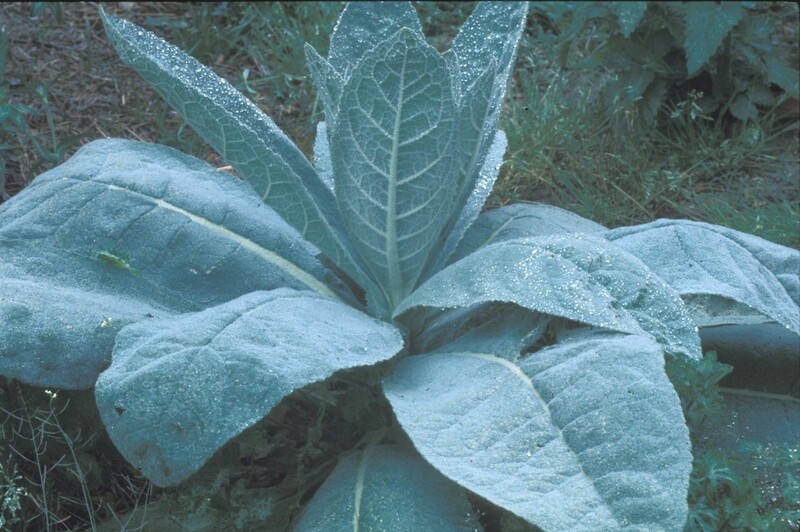 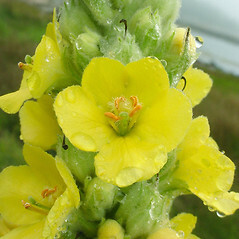 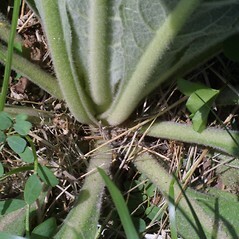 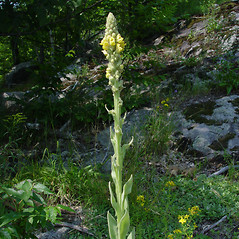 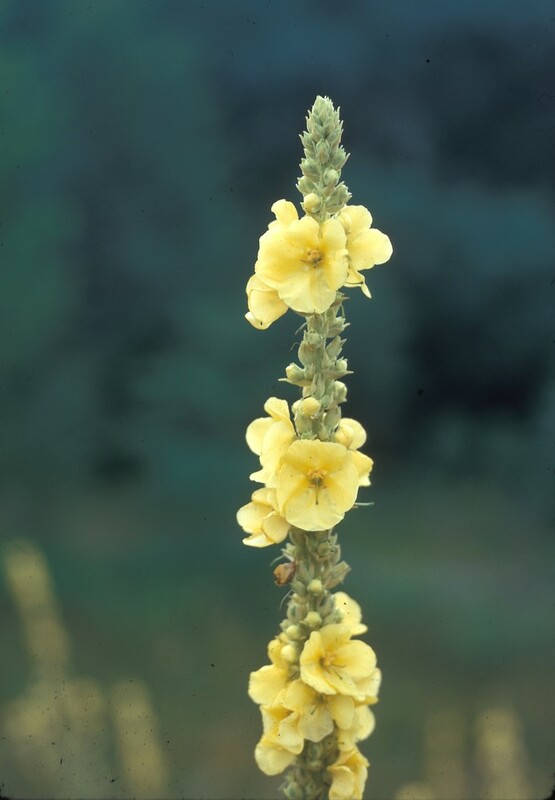 Common mullein is a biennial native to Eurasia and Africa that develops a basal rosette of felt-like leaves the first year, then bolts to heights of six feet or more. 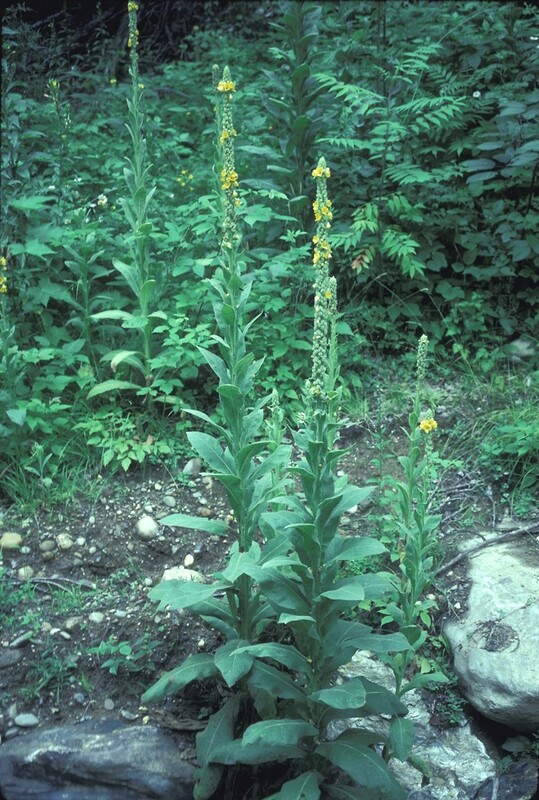 This plant was introduced in the mid eighteenth century as the source of a fish poison. 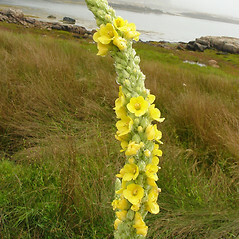 flowers sparse, the axis of the inflorescence visible, and hairs of plant branched and eglandular (vs. V. thapsus, with flowers dense, the axis of the inflorescence mostly concealed, and hairs of stem simple and glandular). 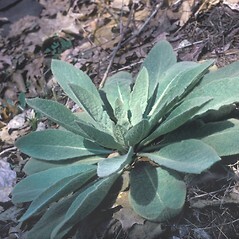 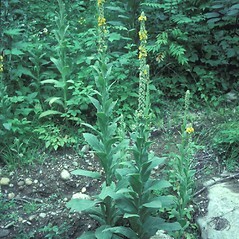 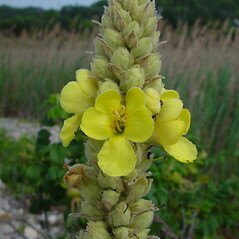 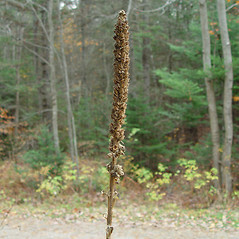 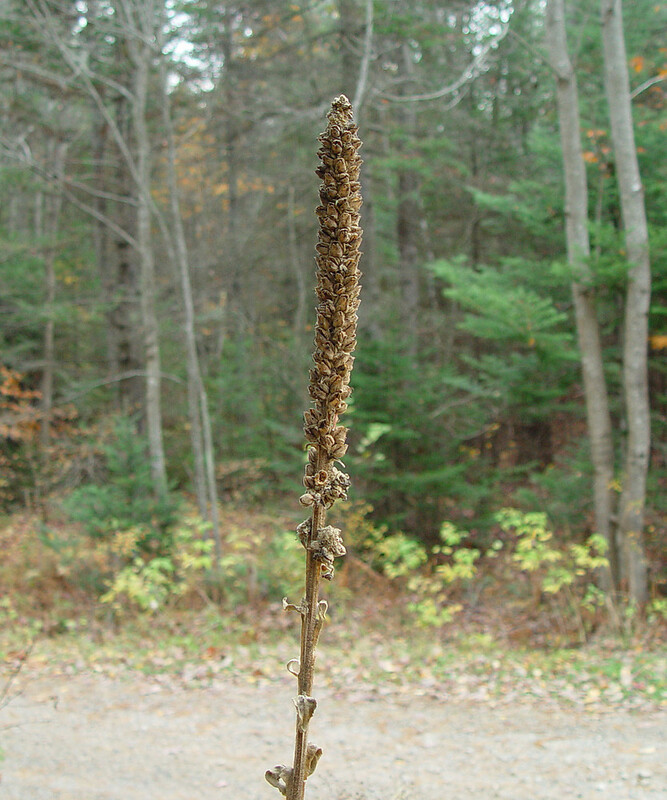 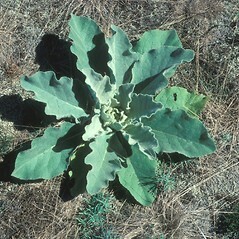 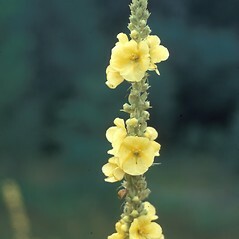 common mullein. 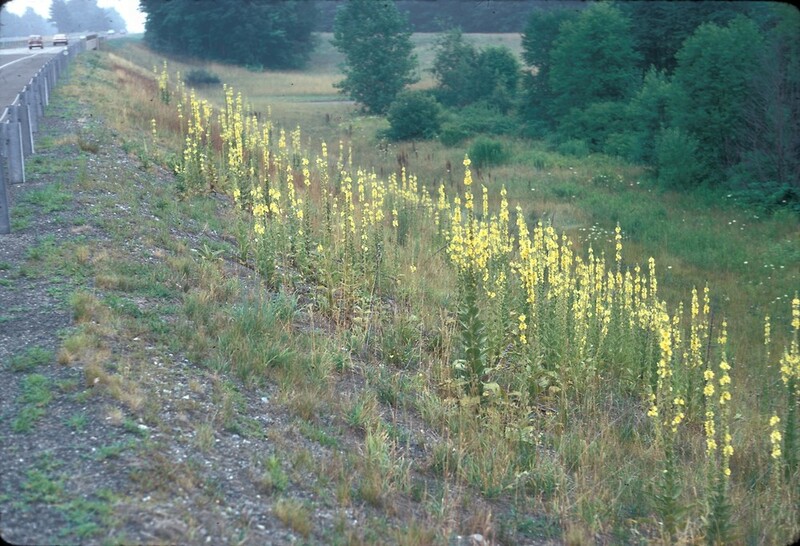 CT, MA, ME, NH, RI, VT. Fields, roadsides, waste areas, railroads, ledges, clearings.